Yin is becoming increasingly popular in the yoga world, as we are currently over dominate in Yang (dynamic/strong) yoga practice, and are realizing the need for its complementary Yin (slow/gentle) practice, and all the benefits Yin has to offer. Our Yin course will cover a variety of flows, understanding of fascia and its relationship to the Chinese medicine meridian system. Louise Windsor, your Yoga tutor, has been teaching yoga since 2012. Yin is her passion, she teaches a weekly Yin class and monthly 3 hour Yin workshops at Revitalise. Her Yin teacher is Norman Blair, she has completed his Advanced Yin Teacher Training and has attended numerous workshops with him and US teacher Sarah Powers. She loves to continue learning for her own practice and to benefit her students. 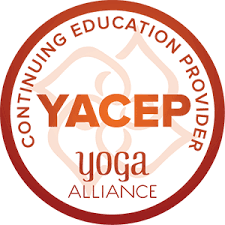 Louise is an Chartered Level 2 teacher with Yoga Alliance Professionals (UK) which means she has taught over 3000 hours and is a continuing education provider. The course is held at Revitalise, 123a Western Road, Brighton. Please note after June 2019 the course price will be increasing to £440 + VAT/ £400 + VAT early bird for first 6 sign ups. To register your interest and request an application form, please contact Louise: louise@createyourself.co.uk or 07779 150886.